Those who live in Atlanta and require addiction treatment often begin their search by exploring the nearest options. Unfortunately, however, sticking to the closest choice might mean missing out on better options further away. Rather than an Atlanta recovery center, consider the benefits of seeking addiction treatment and lasting recovery in Florida. Perhaps the biggest reason for patients to skip over Atlanta recovery center options when seeking out detox, rehab or any other treatment for addiction is due to the surrounding temptations. For most Atlanta residents, all substance abuse will happen within a few miles of home. Patients in addiction treatment at an Atlanta recovery center could be only minutes from drug suppliers, their favorite drinking spots or acquaintances that will help them find temporary comfort in drugs or alcohol. Since detox, withdrawal and rehab are already challenging, it doesn’t make sense to add additional obstacles to recovery. Instead of forcing patients to confront their cravings close to their familiar temptations, consider allowing for recovery in a new environment altogether. Just a short drive away from Atlanta, patients will experience a fresh start. Wiping the slate clean, and removing the most immediate and pressing temptations, can go a long way in helping patients complete their recovery and experience long-lasting sobriety in the future. Many Georgia residents decide to skip over the local Atlanta recovery center choices simply because Florida is so close. Jacksonville, Florida, is just a five-hour drive from Atlanta, and it offers a scenic, peaceful and enticing atmosphere that can be ideal for patients. To start, many patients aren’t committed to the idea of recovery. For that reason, they may need some personal motivation, beyond sobriety, to take the first step. 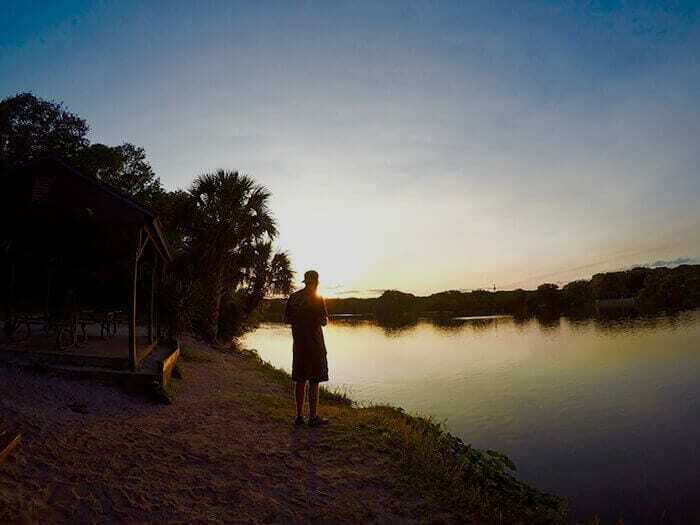 Getting to travel to Florida, and escape everyday city life, can be a reason in and of itself to seek out addiction treatment in the Sunshine State. There’s another reason that Florida is such a popular destination for recovery—its beautiful climate. With sunny skies and warm weather throughout the year, Florida encourages outdoor activity and fitness. Lots of exercise, and a daily dose of Vitamin D, can be helpful in treating conditions like anxiety and depression, both of which can be common in addiction recovery. By narrowing the search to Atlanta recovery center options, prospective patients might be limiting their options in a very harmful way. When the goal is to find the best possible addiction treatment, widening the scope means having more choices and a better range of options. Rather than focusing exclusively on a single city, consider the many options that are available in Florida. If patients only search in Atlanta for recovery options, they may be unintentionally settling for facilities or programs that are subpar. In a matter as serious as the sobriety of patients, it’s important to take the time to explore all options and locate one that meets all needs and requirements. If you’re on the lookout for Atlanta recovery center alternatives, then Beaches Recovery in Jacksonville, Florida, could be ideal. Call 866.605.0532 to ask about availability and to begin your journey to sobriety today.